Summer ends and the Fall comes with the best of cheers. Fall is the time which is my favourite, the ripeness of autumn fills the air. The time when I wish to break the monotonous work uniform and look unbeatably stylish. The corporate world can be sucked into wearing the same old work outfits – black blazers, button-down blouse and straight fit pants. 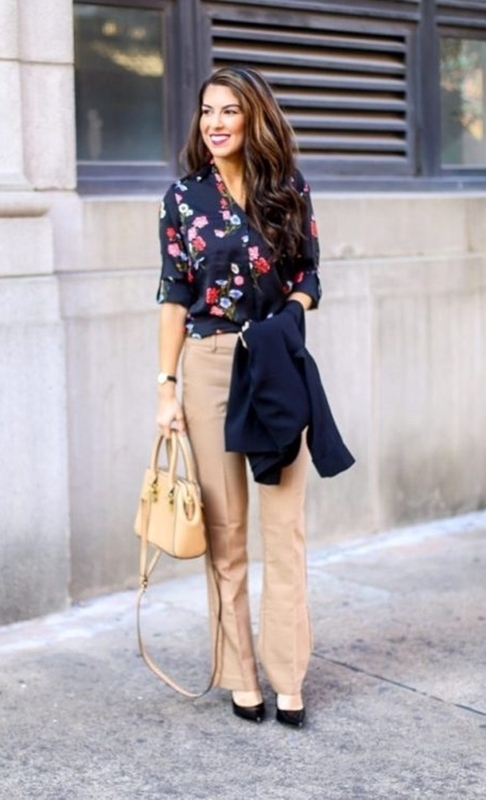 These are fall work outfits for women are perfect when fall is just around the corner. The first combination has to be the best one, chic sweater and skirt. A neutral colour sweater tucked into the skirt and layered with a coat, is so far my best bet for fall work outfits for women. This look is unbeatably stylish and comfy. If you aren’t really sure, which type of skirt will best flatter your figure, read more to find out. A cosy shearling is a must. It goes along with any outfit like jeans, dress or skirt. 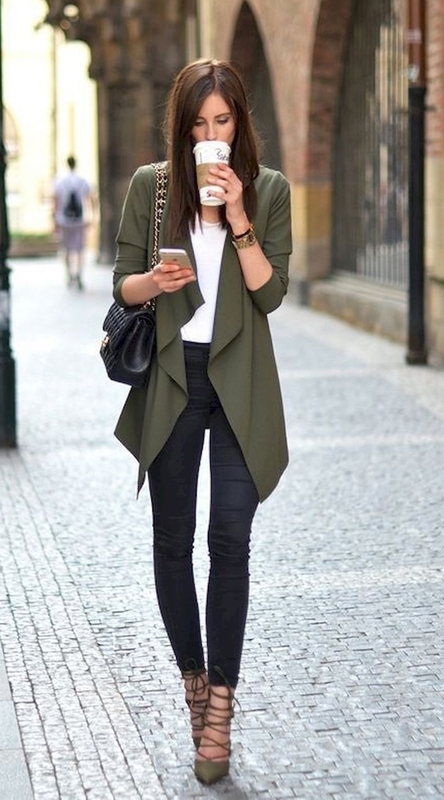 Not only that, when paired with a sneaker, this outfit becomes perfect for fall work outfits for women. Shearling is a wardrobe staple with you will wear again and again. An amazing outfit calls for an amazing hairstyle, find out which hairstyle is the best for you. Draping a cardigan almost every single day in fall is totally acceptable. Pick cardigan colour that is paired with almost everything and anything. For the office, blouse matching with cardigan and jeans is not less than perfect styling. Take extra haircare, during fall you might need to switch your haircare routine. Pantsuit looks polished and most preferred office outfit. But there are days when pantsuit is just not enough to protect us from the cold outside. And, although the combination is absolutely stylish, wearing it every day can be boring. Which is why to switch things a little wear a knit sweater instead of tucked white blouse. Faux fur jacket is a symbol of richness and style. It takes your entire outfit to the complete next level. Are you sure, you can not wear it to the office? 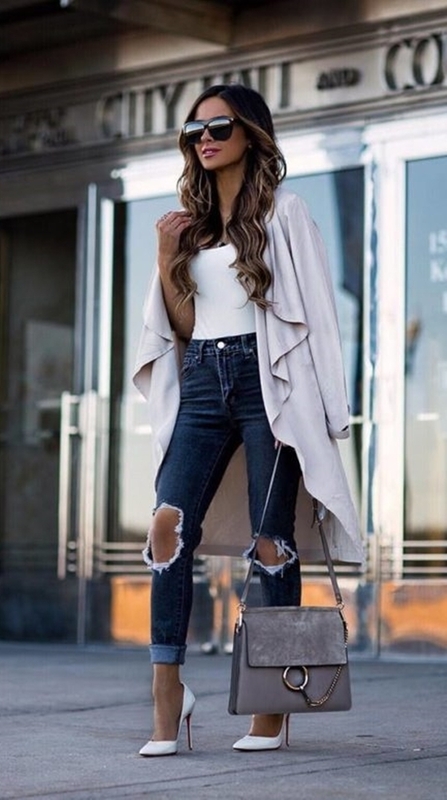 Because when styled with jeans and a casual V-neck top, it becomes extremely fashionable and office approved fall work outfits for women. Thigh High Boots – Must Have! Boots are a must-have for fall. Actually, fall outfit does mean boots are obvious. There are so many options in style and colours, but I personally prefer tab colour thigh high boots. It goes along with almost any every outfit. It jazzes up the jeans and top outfit and reminds that autumn is a mellow time. You might be thinking that hoodies might be a bit out of fashion right now. Break your fashion trend rules. Hoodies are still a thing. Wear your hoodie with a midi skirt, this outfit has elevated the fashion guidelines. Hoodies are so comfortable and versatile. Innocent and elegant, the best two words to express silk blouses. I have a deep-rooted love for silk blouses. If ruffles are your thing then hold onto the ruffled black silk blouse and denim. If you wear good, you feel good. If you feel good, you are definitely the boss lady at the office. Bold colours elevate the harmony of fall and lustre in the outfit. A warm red colour outfit, like a red jacket, red skirt, red boots or red sweater. Brighten up the dull weather and office environment with your bold colour outfit. The secret combination is red and black. A scarf is always the fall/ winter staple. It oomphs the outfit and makes it more classy and cosy. Fall printed scarf, chic crossbody bag makes your outfit dressier. 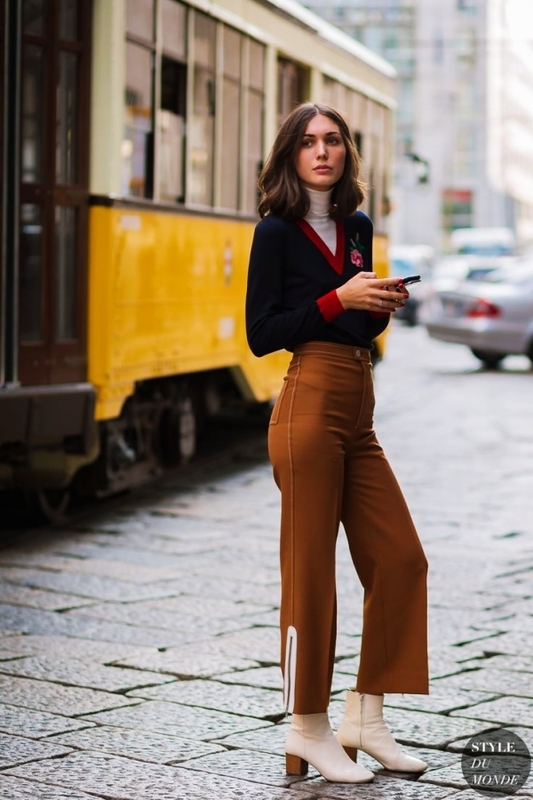 Take a note girls, these extra accessories might make the perfect fall work outfits for women. You don’t need to buy new outfits for fall, just denim, boots and comfy sweaters – you are sorted! Neutral colours or warm red bright colour, class and style is what makes the difference.